1. I've had this vintage Yves Saint Laurent leather wallet from my late grandma for years and it's still in great shape! 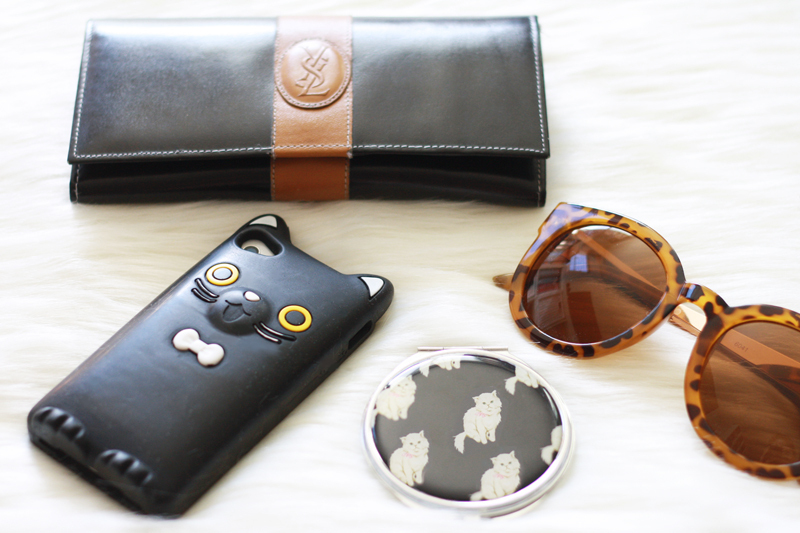 2. iPhone 4s in a black cat case. I used to have a mint one but it got dirty too quickly. 3. 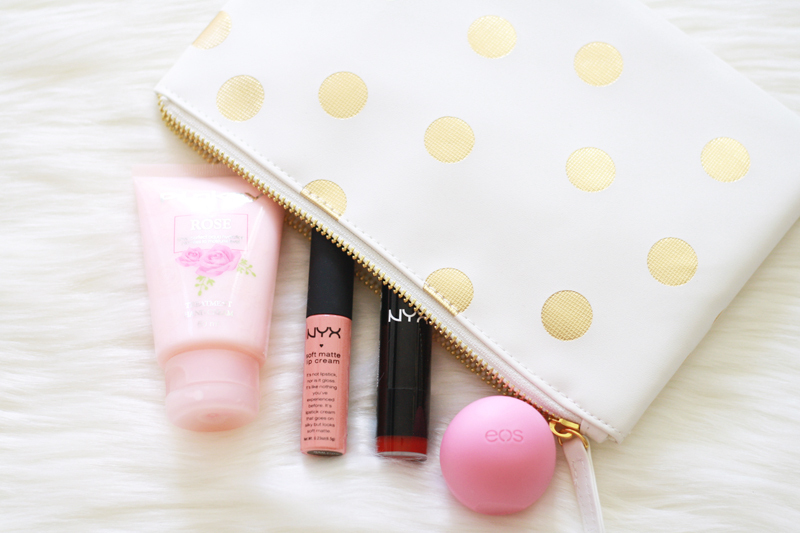 White pouch with gold dots from F21 that holds random things like makeup, bobby pins, hair ties, etc. 4. 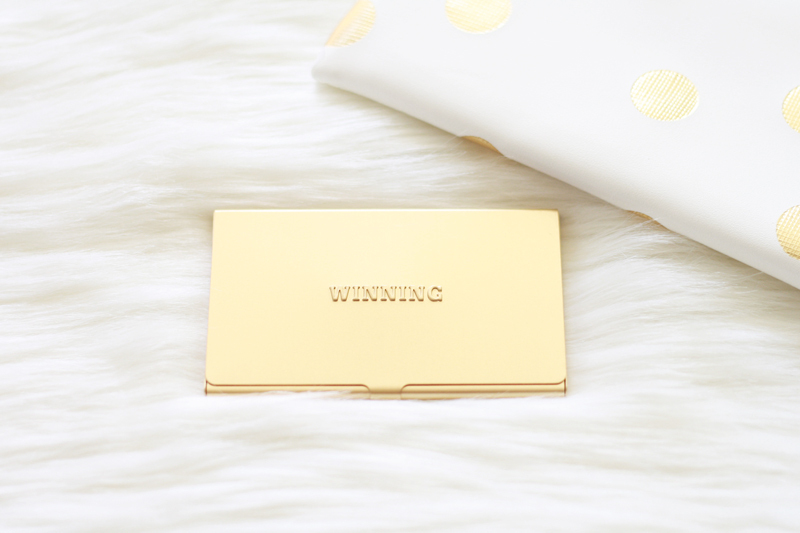 Gold business card case from F21 with "winning" embossed on it. 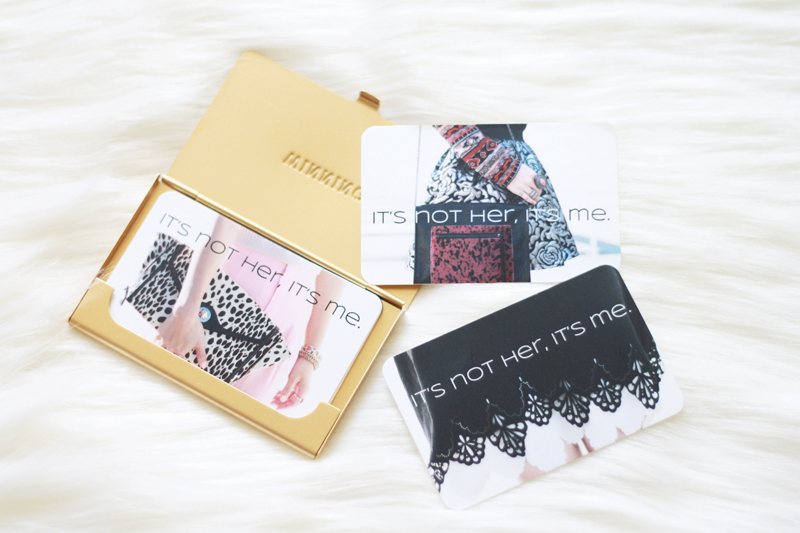 I just got new cards for the new year too! 5. MAC dual purpose powder. 6. I am a big fan of NYX's lip products and am always carrying different shades of lipstick and lip cream. 7. Gotta have my hand sanitizer! 8. Is anyone not addicted to Eos? 9. I never go anywhere without my Canon Rebel XS. 10. The best smelling rose hand cream I got from Hong Kong. I love rose scented anything! 12. 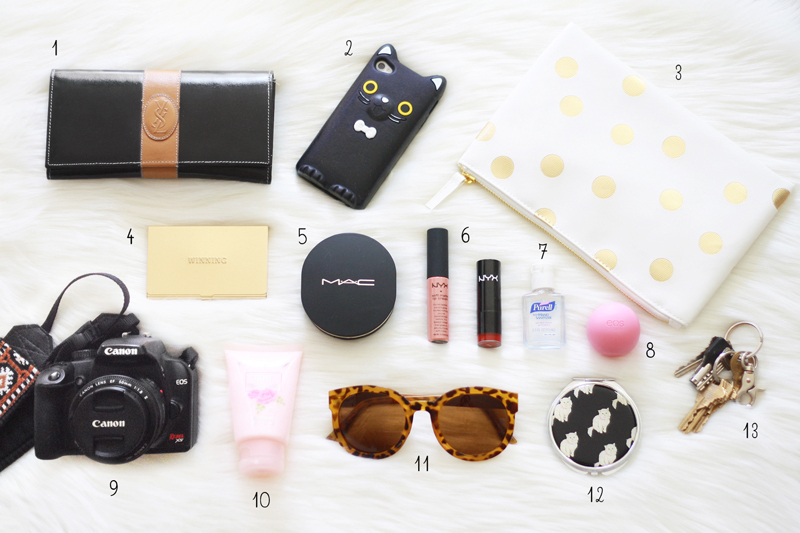 Cat print compact mirror from F21.